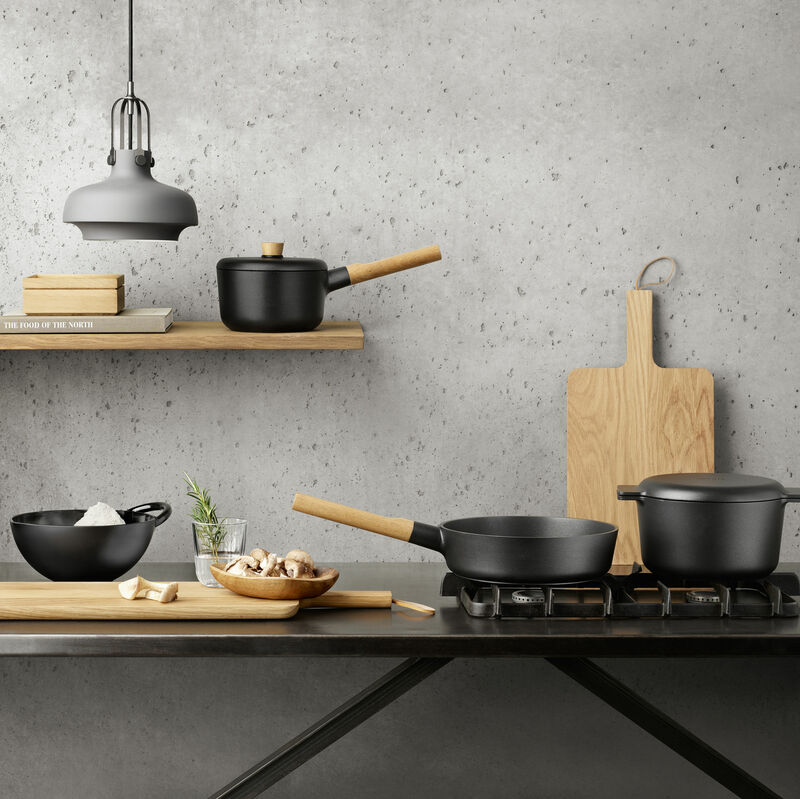 The Nordic Kitchen cutting board is raw and rustic. It is made of oak, which makes every board unique. 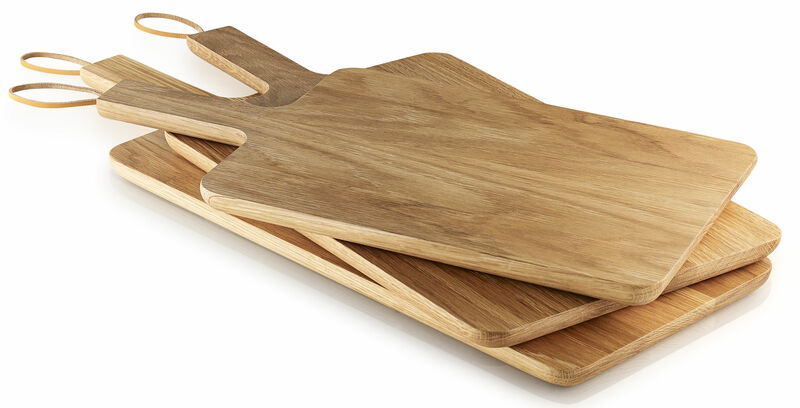 With its rounded corners and sides, each board is comfortable to use and hold. It is equally suitable for preparing meat or vegetables, but also ideal for serving, for example, tapas. The cutting board can be hung from its leather strap when not in use, and is easy to clean using hot water and soap. The board should be oiled regularly to maintain the wood.